I love this smoothie. 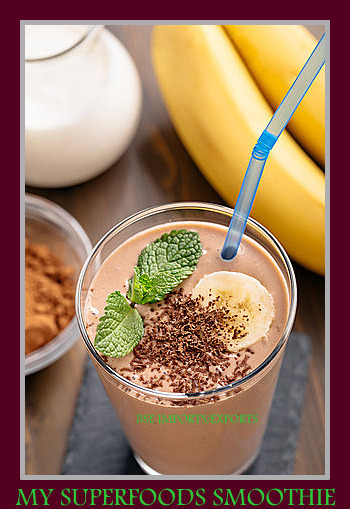 It is easy to make and contains all the nutrients you need in a day. You will love the near chocolate taste too. The date syrup combined with the agave and hemp makes it a perfect combination. Place the spring water and pears in the blender and blend on high. Strain and remove the seeds. Place the liquid back in the blander with the cherry juice and 1/2 cup more spring water. Blend on high. Now add in the remaining ingredients and enjoy.